As crazy as it may sound, the smartest landlords will expect the worst. They know they could wind up a debt collection dispute with each tenant — before that tenant ever moves in. Is this a glass half-empty perspective? 1. Make sure the entire rental application is filled out. Why? Because some of the information in the rental app can be priceless to a collection agency attempting to collect your debt for you. 2. Verify the tenant’s Social Security Number. This may seem like a silly detail to less astute landlords, but if you end up with a large debt collection, many states will allow you to get a court judgment against your ex-tenant, giving you the right to garnish wages and attach assets. 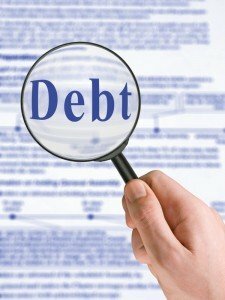 With this judgment in place, your likelihood of collecting the debt is vastly higher than without it. And a valid Social Security Number is almost always required for a judgment. 3. Make sure you get a photocopy of the tenant’s government-issued photo ID. Much like the Social Security Number, the information contained in a government-issued photo ID can be priceless to a collection agency. 4. Before the tenant moves into your unit, have the tenant supply you with three personal references and three emergency contacts. Ideally, you will want to verify that each of these is valid. The reason? Much like the notes above, this information will be indespensable to a collection agency in attempting to collect the debt for you. 5. Copy the first monthly rent check. Then, compare each check against that copy. When information changes, copy that check. Why? Because if you are fortunate enough to get a court judgment, you may be able to access funds in the bank account. But if you don’t have that bank account info on file, good luck getting the info from your (now) ex-tenant! Let’s hope you don’t ever have to pursue a debt collection. It’s never any fun for anyone. But if you find yourself in that undesirable situation, you’ll be glad you planned ahead. Visit our Rent Collection page for more information.